Hey Mets Fans … Keep Voting! A few weeks ago I wrote how Mets fans needed to step up and “Vote Wright Now” and they certainly have done just that. In the latest voting update, David Wright has surpassed Pablo Sandoval for the starting third base position. The vote is still close however and the vote is far from over. When you compare the two’s numbers it’s very clear who the starter should be. Sandoval’s stat line reads .272/8/37 with only a .312 OBP and 26 runs scored. Wright’s on the other hand is .306/12/42 with a .393 OBP with 42 runs scored and 14 stolen bases. Granted Sandoval has missed part of the season due to injury, but David Wright is having a better first half. Not to mention he is also on a much worse team which makes his numbers even more impressive when you consider what he is surrounded by. It’s not time to congratulate ourselves just yet, as the Giants have become notorious for stuffing the ballots right before the deadline. 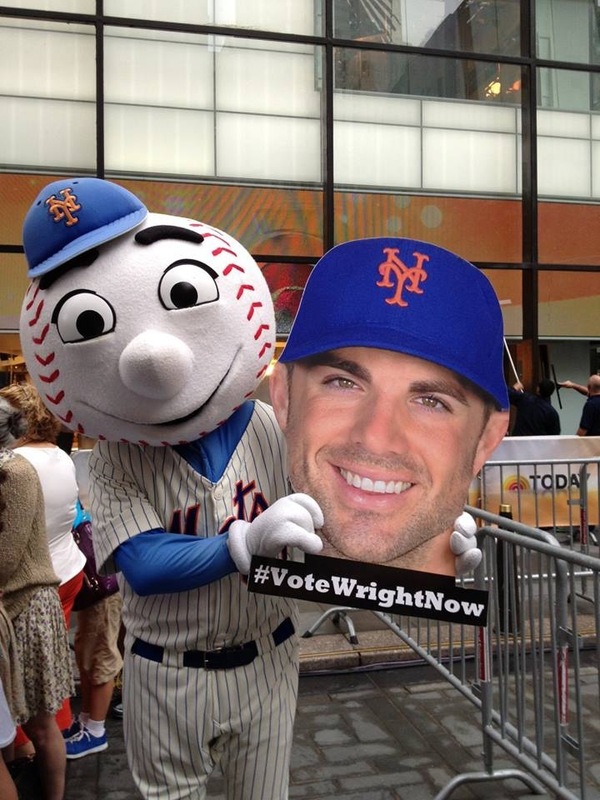 Mets fans need to finish strong and make a final push to ensure Wright wins this vote. Voting ends on Thursday, July 4th at 8:59 and the starters will be announced on Saturday at 3:30 during a special Fox All-Star presentation show.